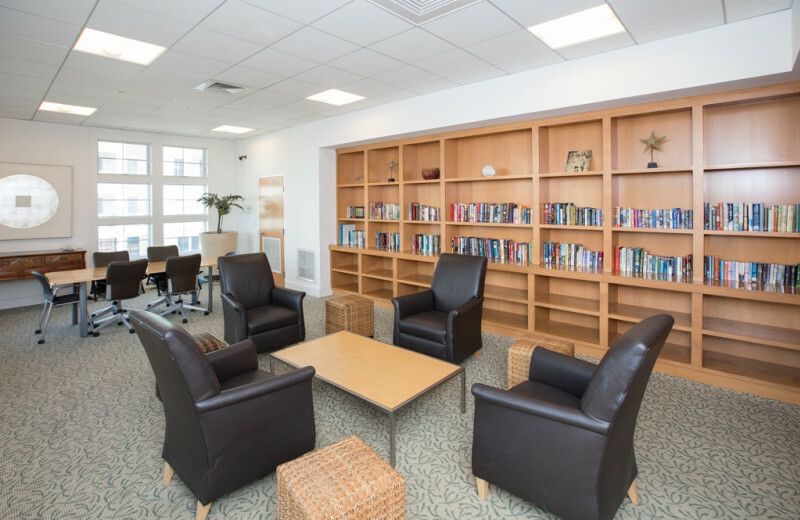 Create Your Own Sanctuary, Weekly Sat.-Sat. 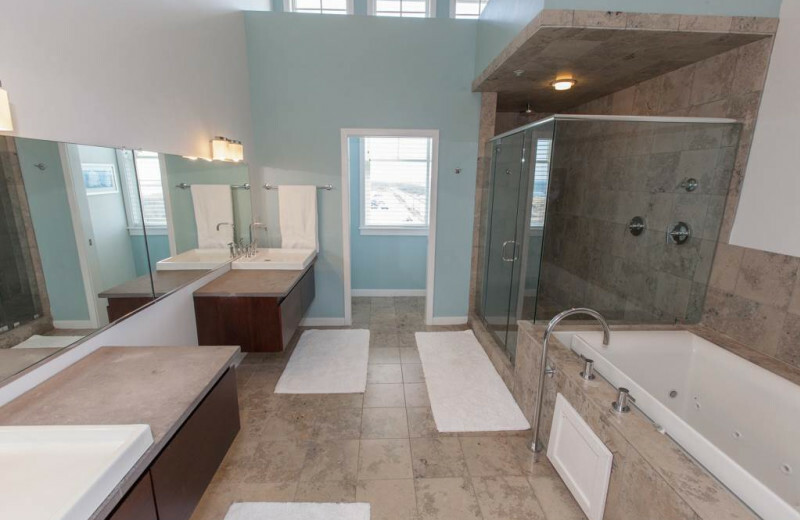 Rental Required. 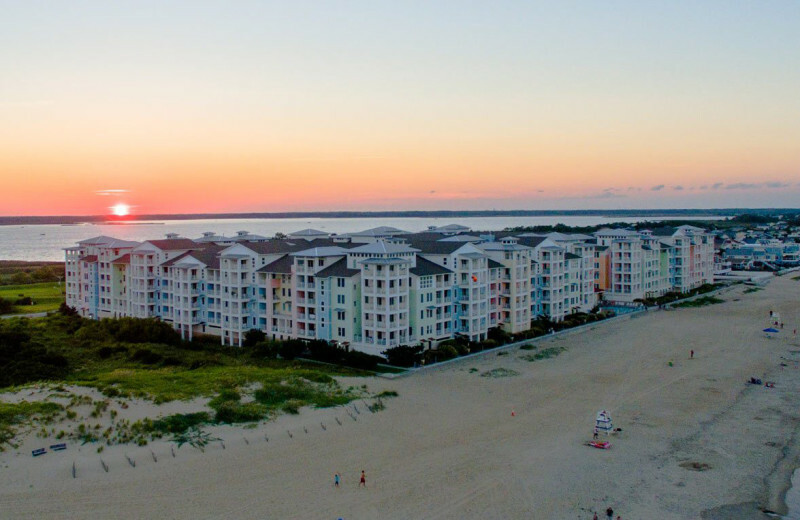 Sanctuary Realty at Sandbridge is located on Virginia's Outer Banks with underexposed white sandy beaches and ocean front condos. 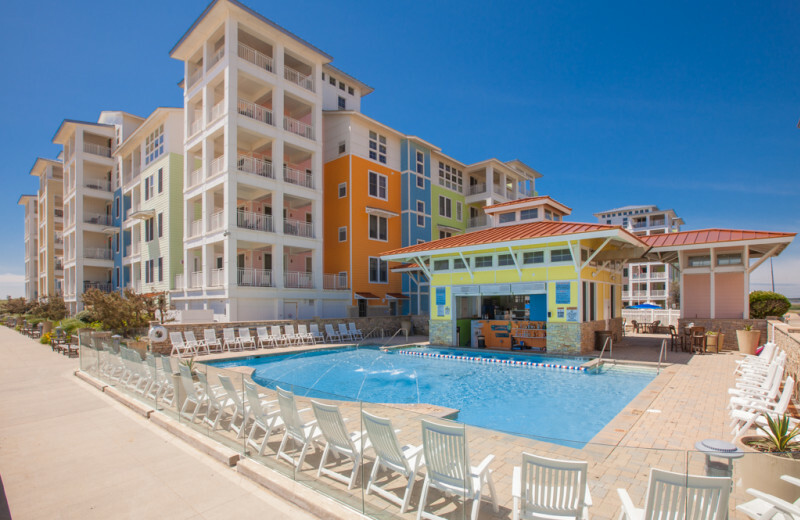 Enjoy watching the sunset on an overlooking balcony, walk along the private boardwalk, or simply lounge by one of the three outdoor swimming pools. 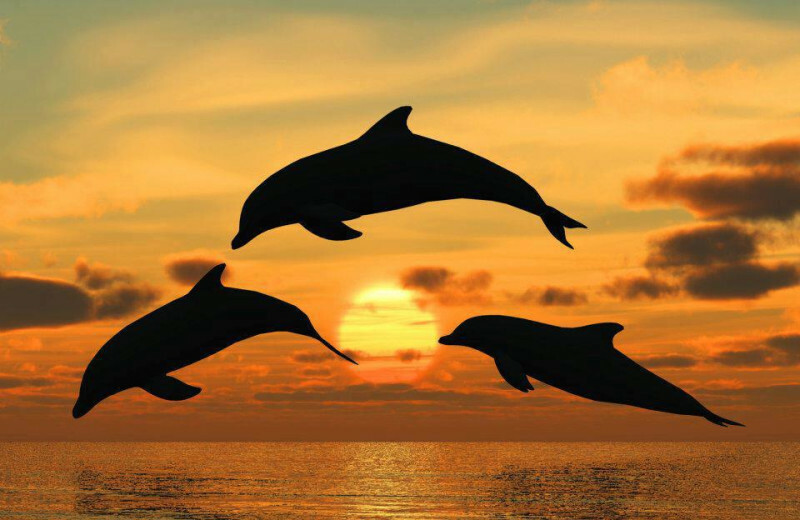 For a little extra adventure, the area's most common attractions include fishing and boating through the waters! When the sun goes down, explore the local shopping and fine dining. 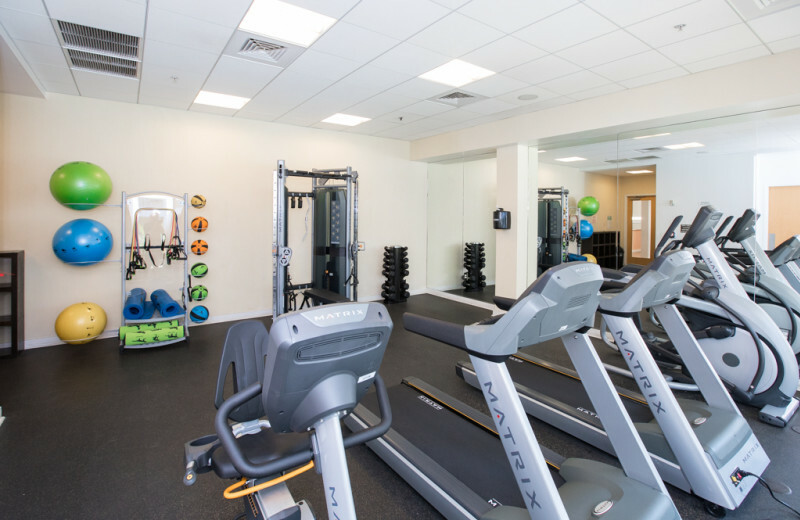 Each condo is your complete home away from home with full kitchens, private balconies, fitness room, game room, and poolside grills. 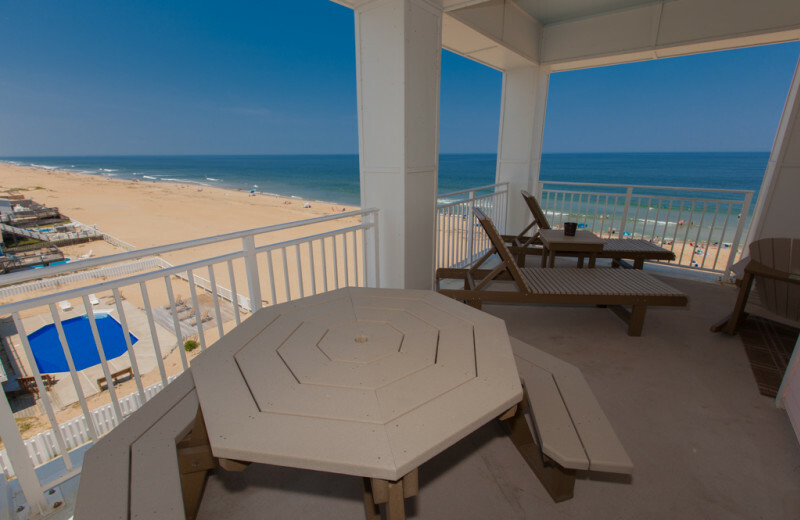 This is the place to start your Virginia Beach vacation! 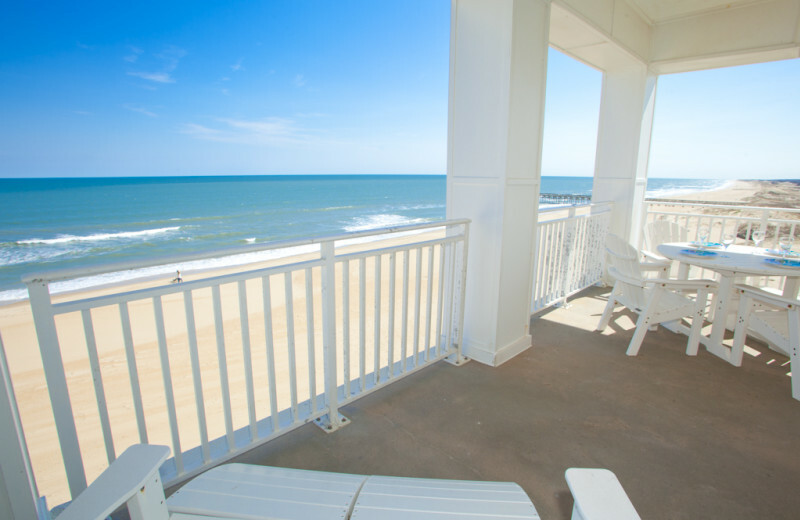 Virginia Beach, known for its white sands and clear waters is just steps from your door when you stay with Sanctuary Realty at Sandbridge. 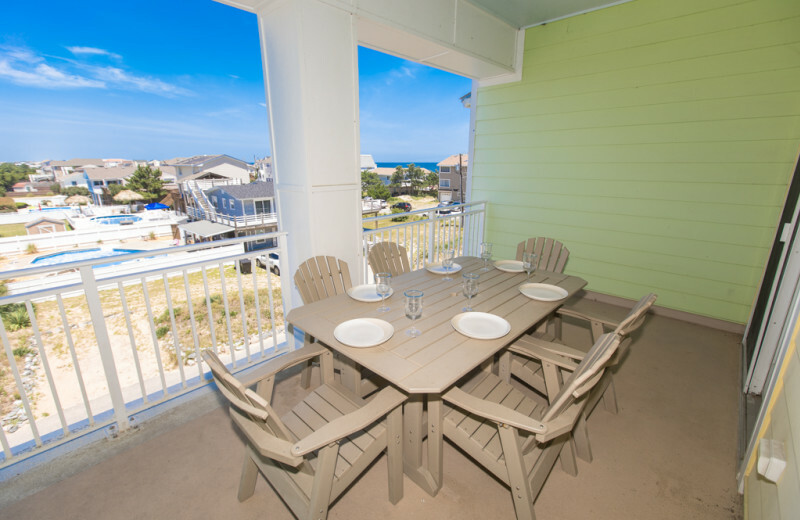 On the Outer Banks you can enjoy the intimate relaxed atmosphere. 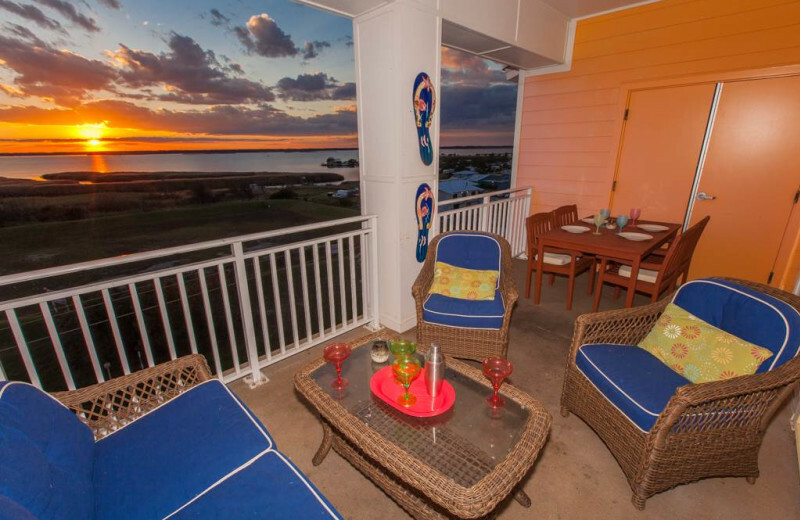 Spend time together on a fishing charter, play with the kids in the sand, or dive right in for a refreshing swim. 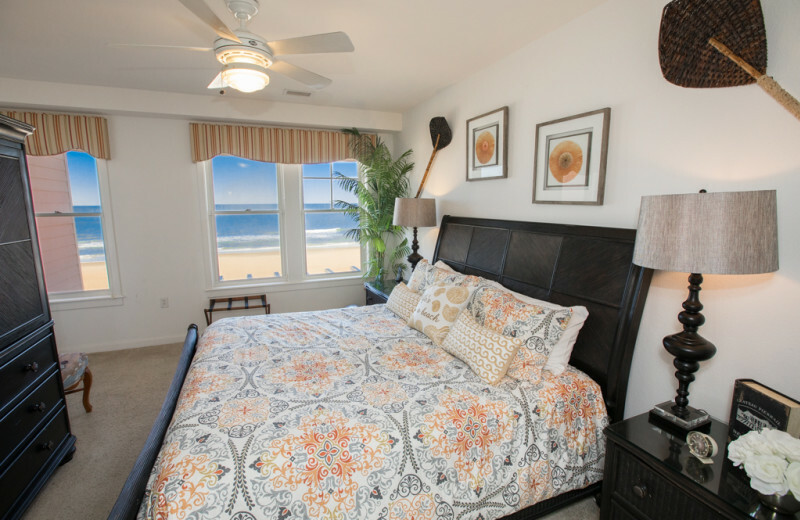 With so much to do on and off the shoreline, you are just going to want to remember the sunscreen! 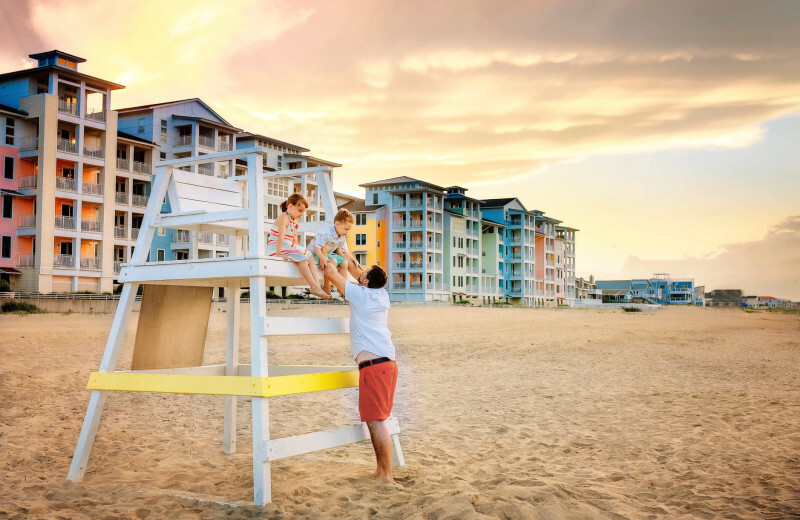 Bring the whole family for a Virginia Beach getaway! 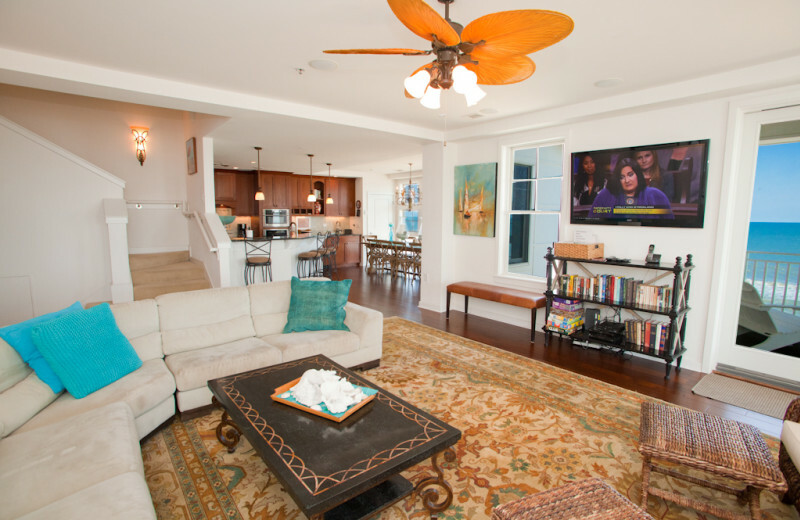 Oceanfront condos with room for up to twelve means that everyone is invited! 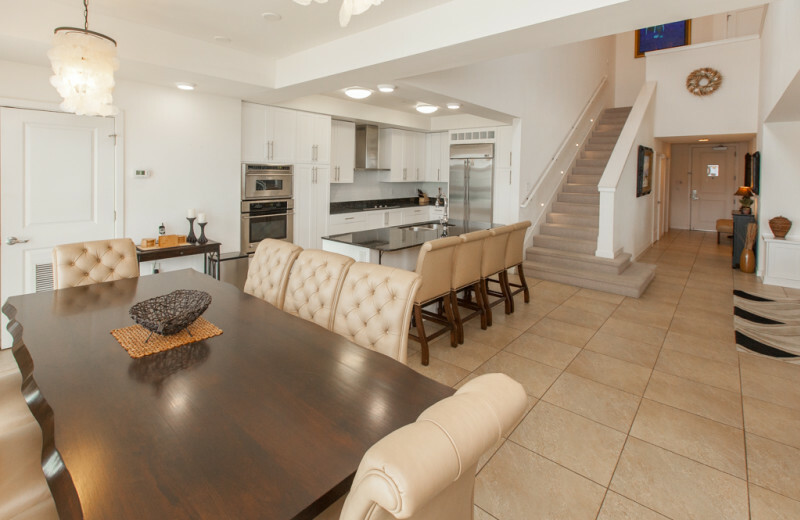 Spend some quality time with your loved ones grilling on the poolside grill, or swimming in one of three onsite pools. 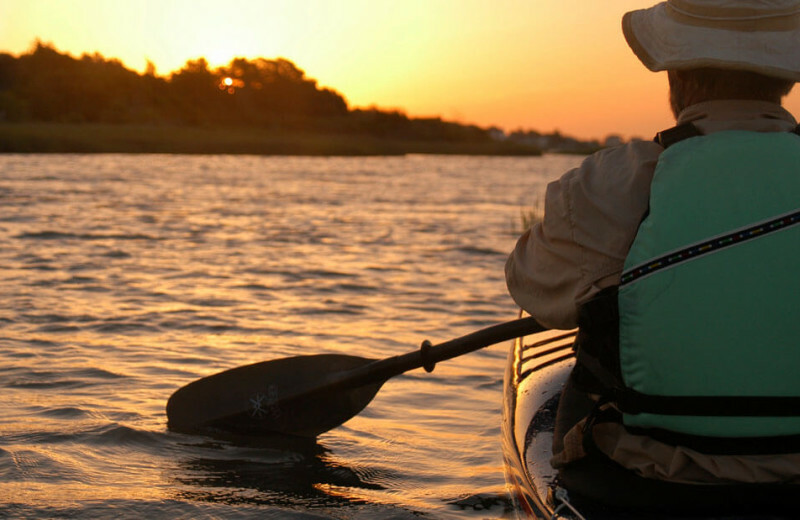 Of course, don't miss out on exciting Atlantic adventures such as fishing and kayaking. 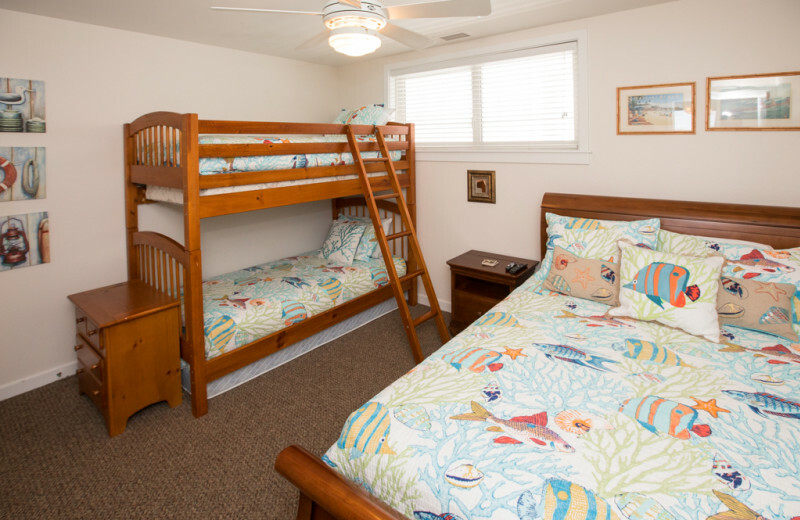 For even more fun, enjoy a family surfing lesson and hit the waves! 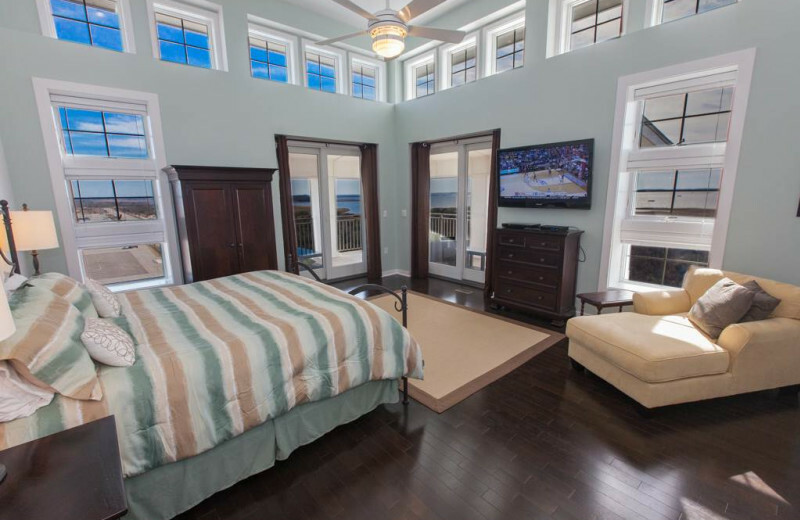 Sanctuary Realty at Sandbridge is within minutes of a variety of golf courses. Make sure that you allow some time to try a couple of them! 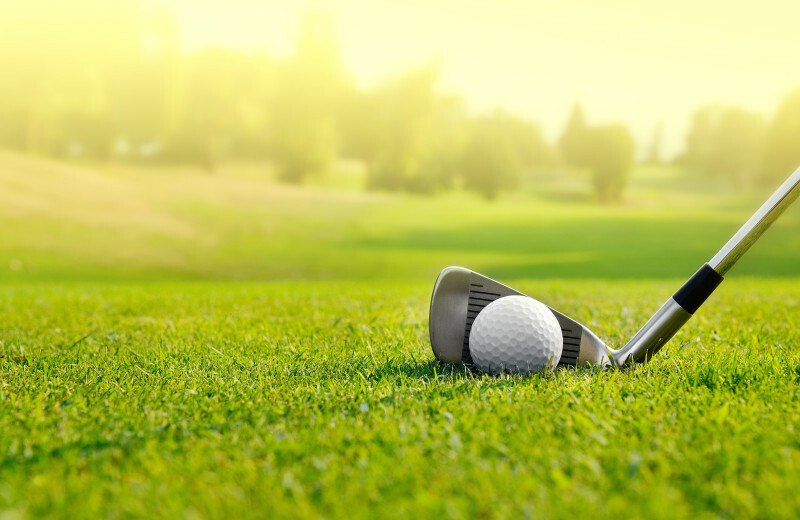 From the beginner to the avid golfer you are sure to improve your swing on this vacation. 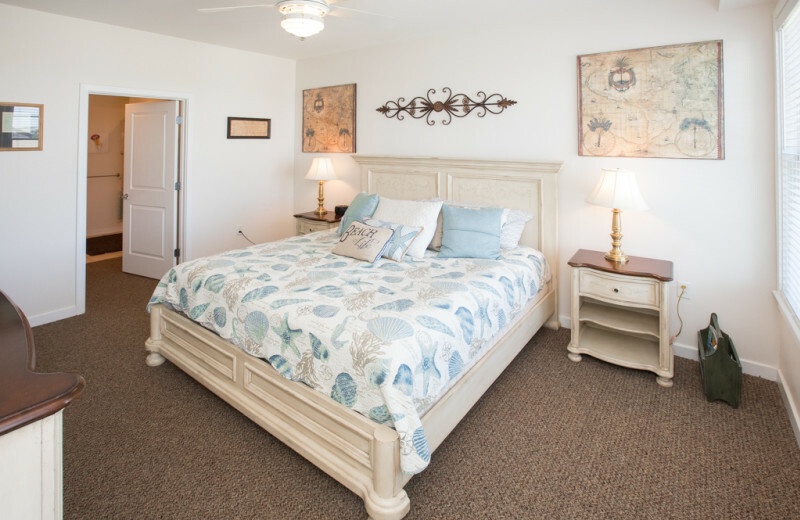 Some rooms offer discounted green fees; inquire for more information! 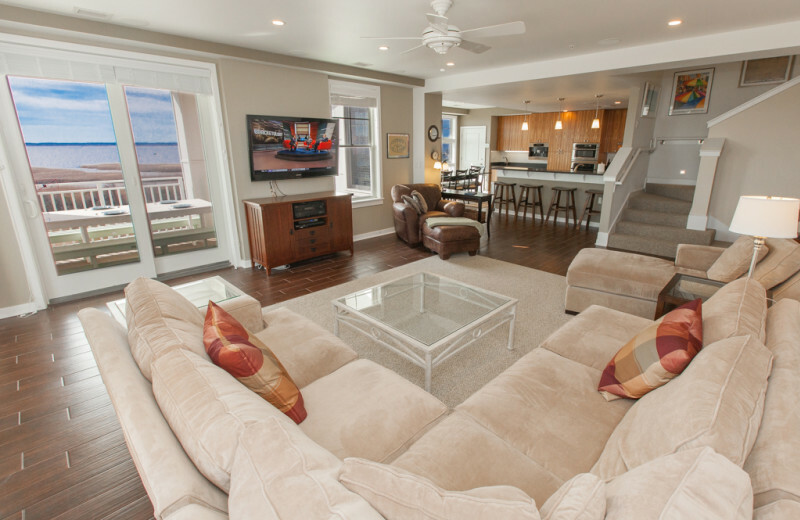 Your stay at Sanctuary Realty at Sandbridge makes the natural habitat easily accessible. Enjoy the hiking trails, bird watching, or see the view from the treetops at The Adventure Park at the Virginia Aquarium. Bring your walking shoes and the camera for an adventure of a lifetime. 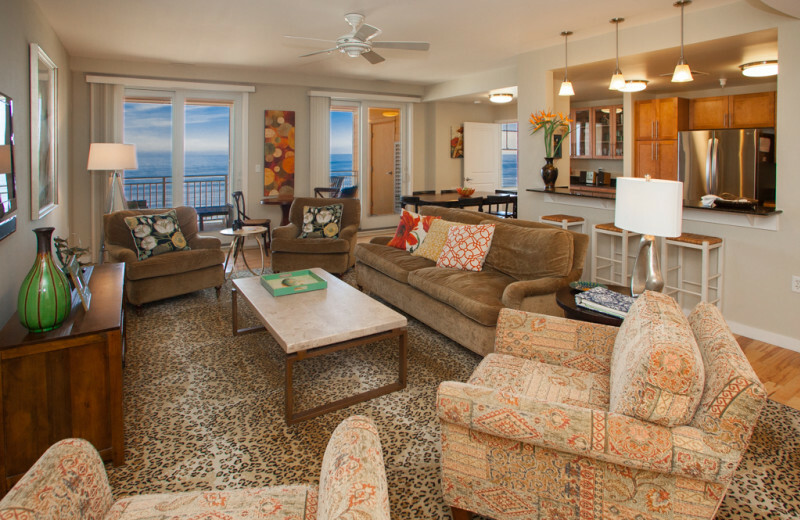 There's no better place than this for an unforgettable nature getaway! 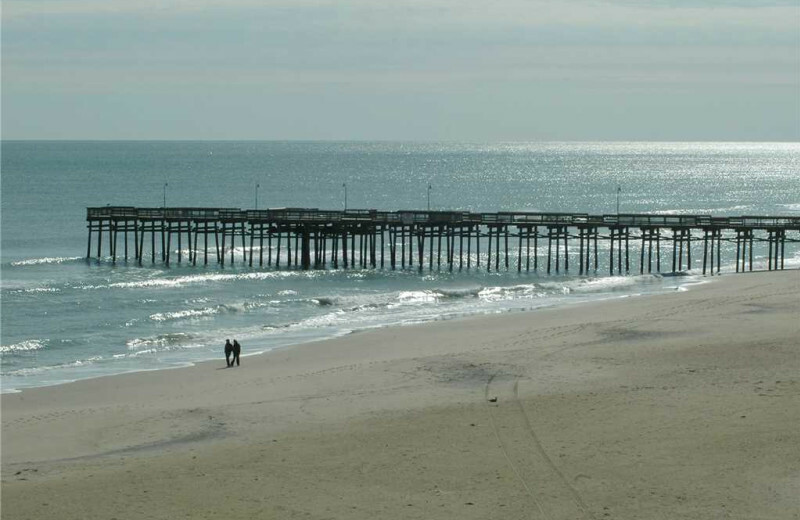 Virginia Beach offers a variety of fishing charter experiences for the beginner or pro angler. 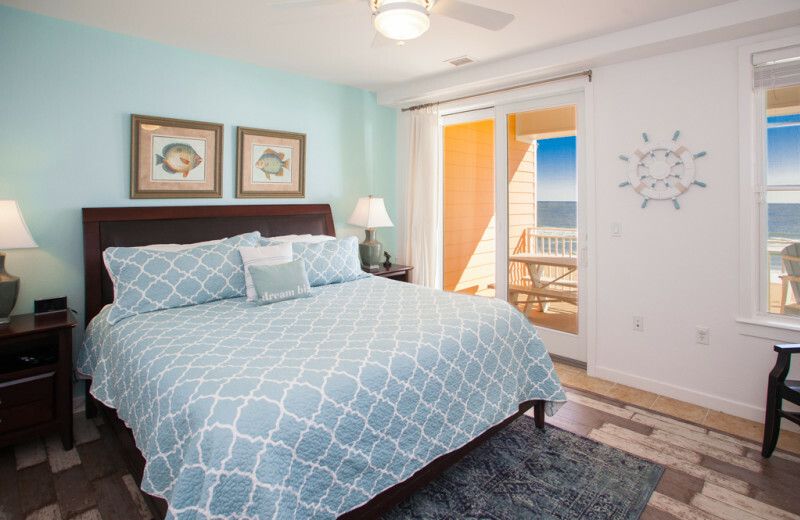 Enjoy easy access to the open waters of the Atlantic Ocean with Sanctuary Realty at Sandbridge, where you can count on their excellent staff to point you in the right direction. Cast a line and enjoy your catch! 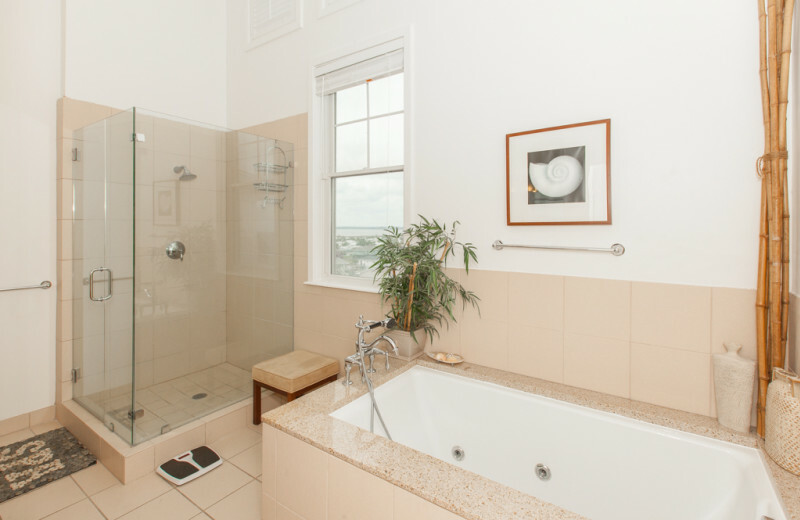 Looking for a romantic getaway for two? 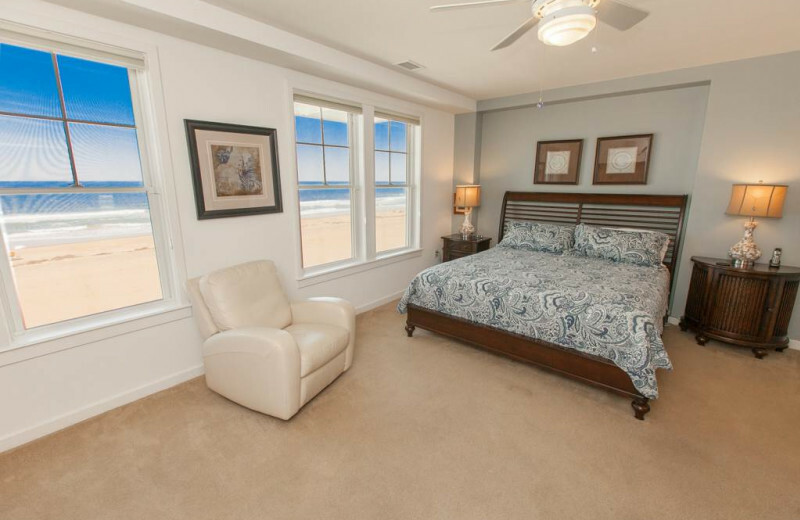 Look no further than Sanctuary Realty at Sandbridge, where you can enjoy an oceanfront condo overlooking the white sandy Virginia Beach. 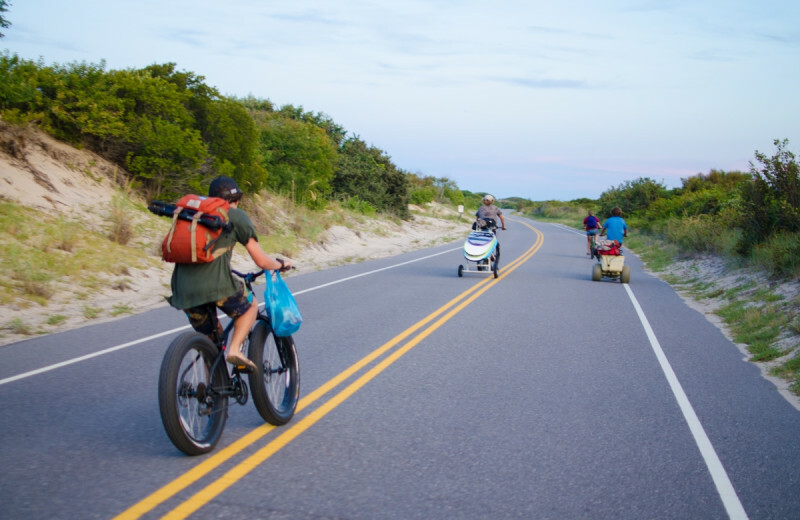 Explore the waters with a fishing charter, participate in a surf lesson, or just lay out a blanket and spend quality time together on the shore. 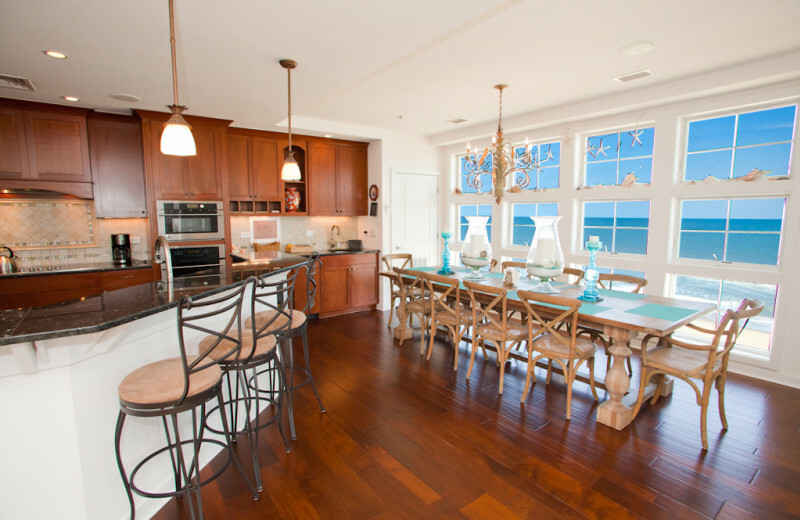 Walk hand in hand along the private boardwalk, or dress up and dine out. Reconnect with your love here! 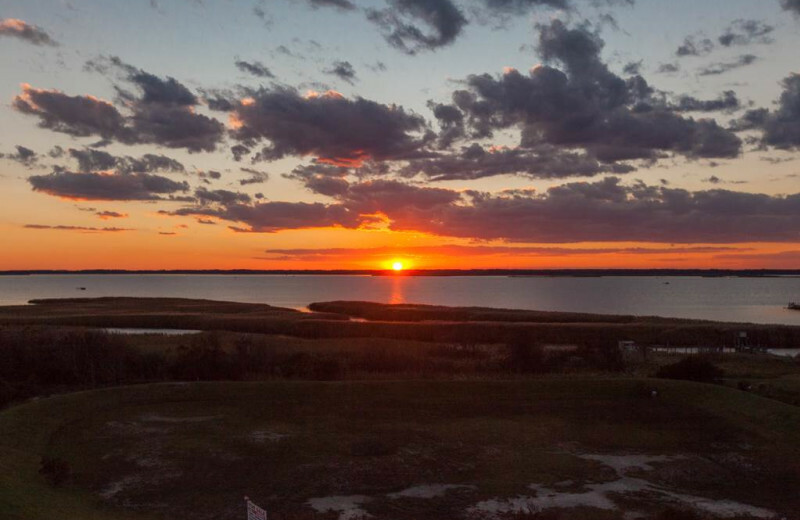 The nature enthusiast will turn into a student with the amazing resources in Virginia Beach. 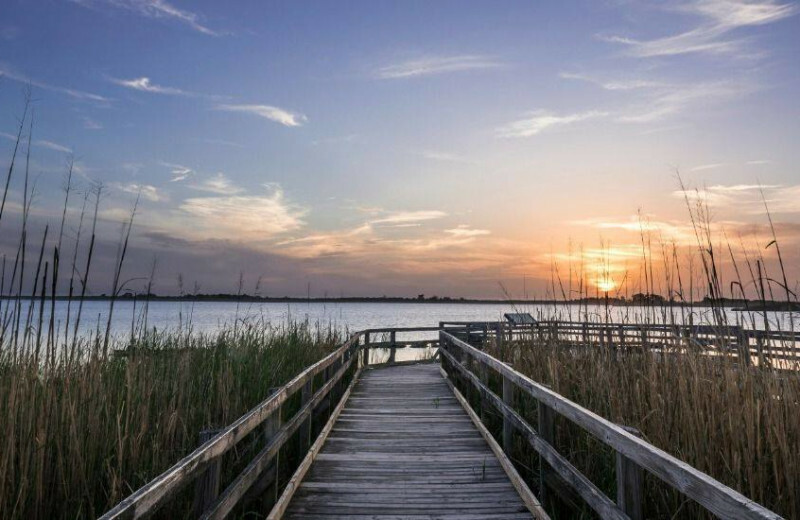 Learn all about the coastal environment at Back Bay Refuge, or explore the swamp and wetland community at North Landing River Preserve. 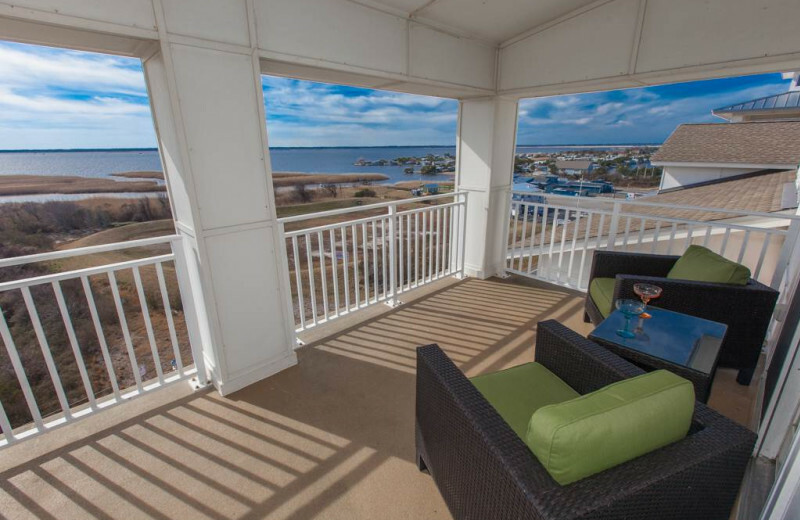 Sanctuary Realty at Sandbridge is close to all the wildlife and nature so that you can explore by day, and relax at night. 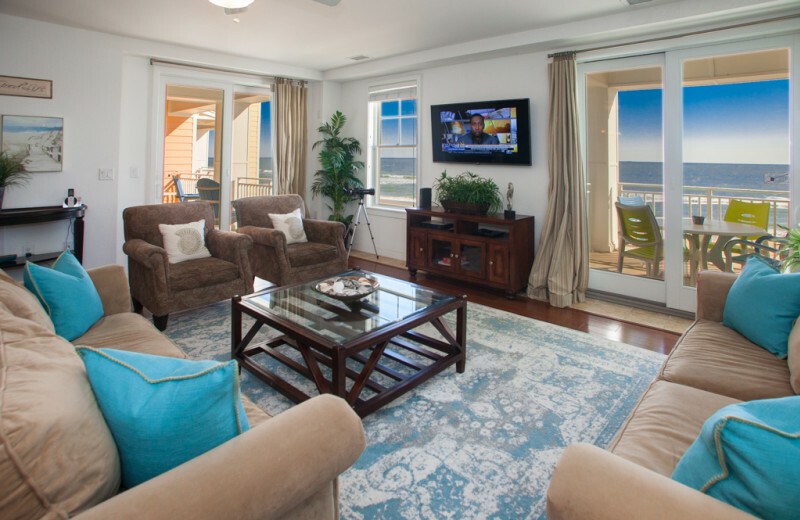 State-of-the-art accommodations, personalized attention, and prime real estate set Sanctuary Realty at Sandbridge apart from the rest. 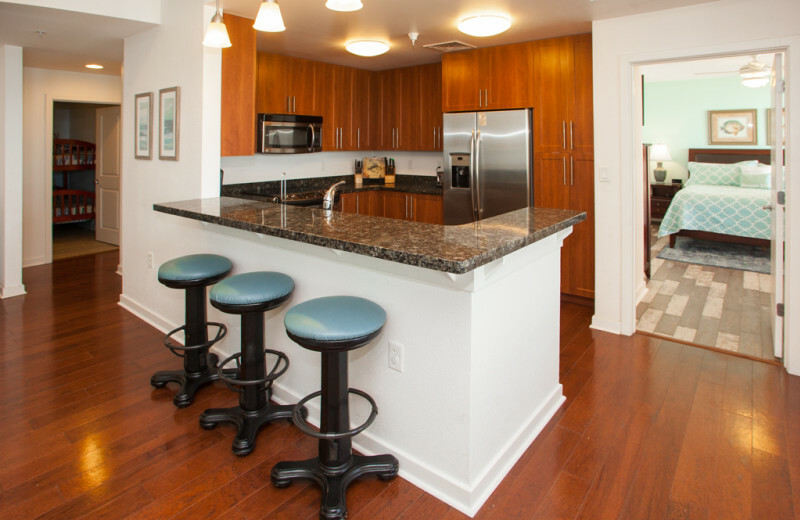 Relax, enjoy, indulge while their highly trained staff ensures your every comfort! 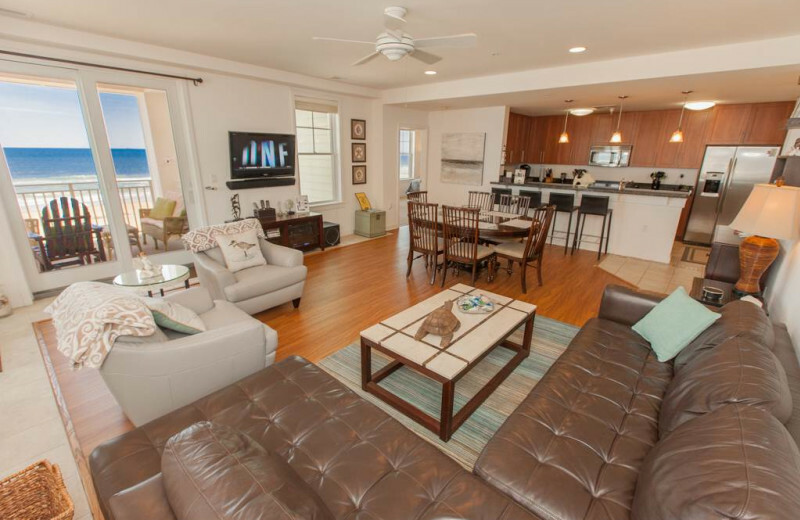 Luxury condos are located right on the ocean, while three outdoor pools, private balconies, fully equipped kitchens, and much more are available to enhance your stay. 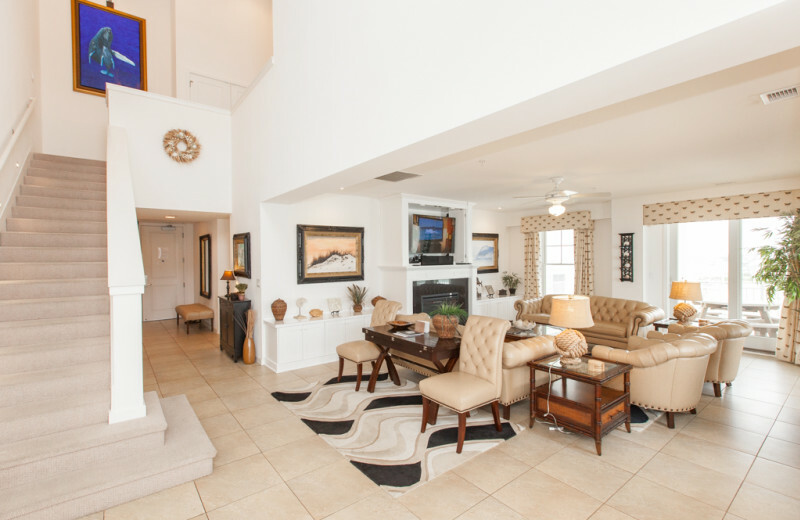 Feel like royalty when you stay here! 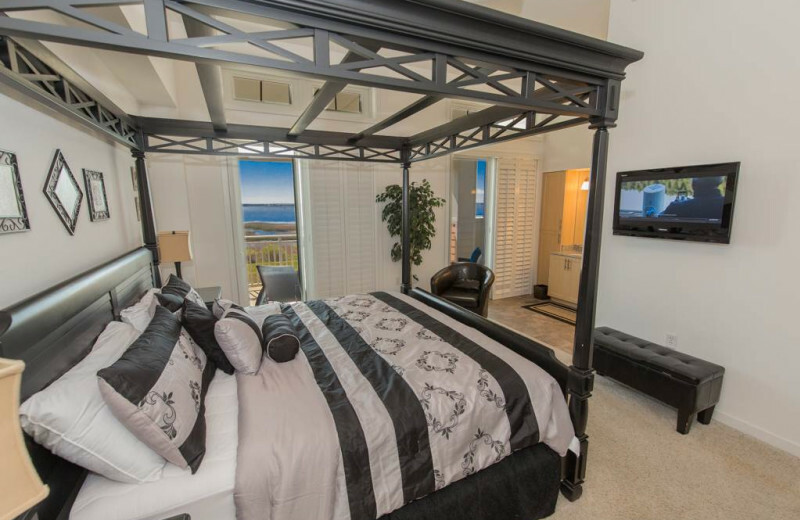 Say "I do," then escape for a romantic honeymoon at Sanctuary Realty at Sandbridge. 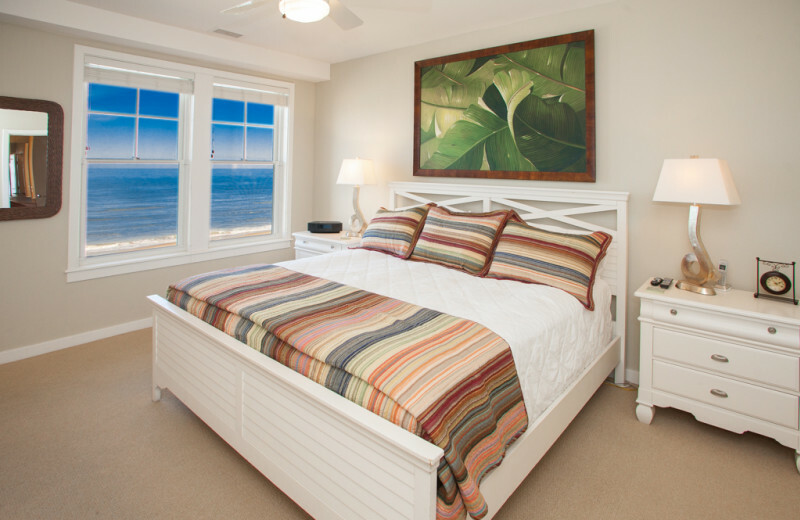 Oceanfront views, white sandy shores, and crisp waves make for a relaxing honeymoon. 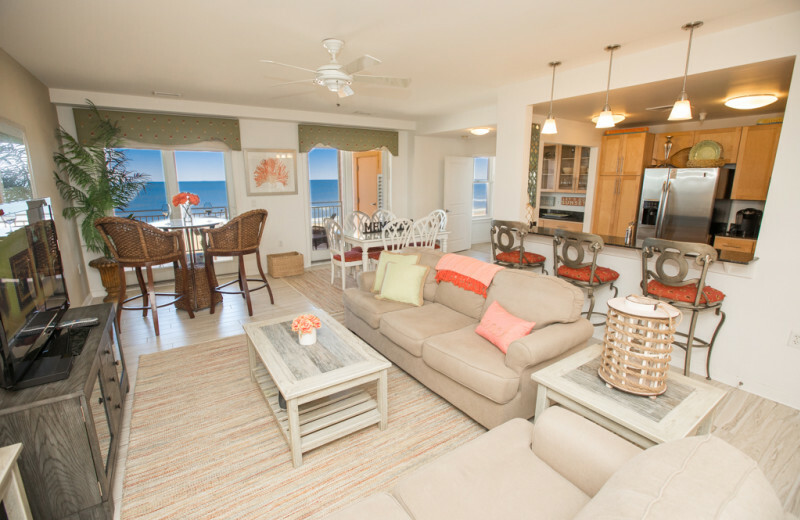 Enjoy a surf lesson on the beach, stroll through the nearby shops checking out the local artisans, or indulge in a spa day. 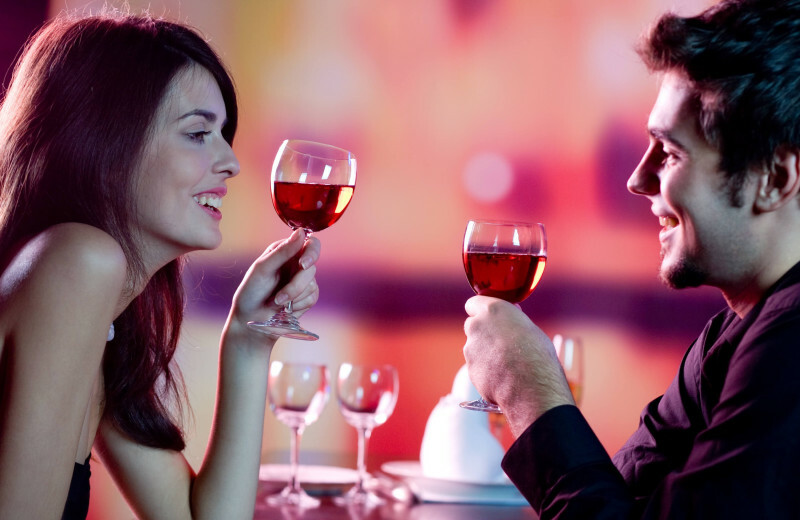 However you spend your vacation it is certain this will be an unforgettable start to your life together! 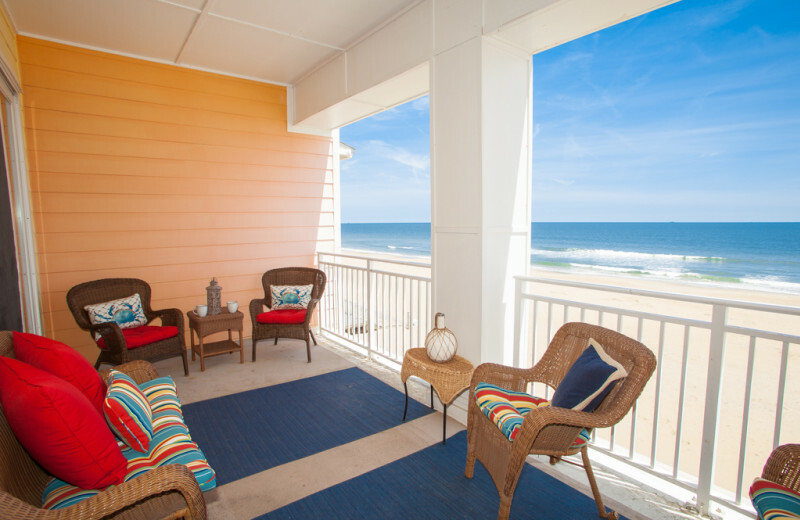 Getaway from the cold temperatures during the holiday season with a trip to Virginia Beach with Sanctuary Realty at Sandbridge. 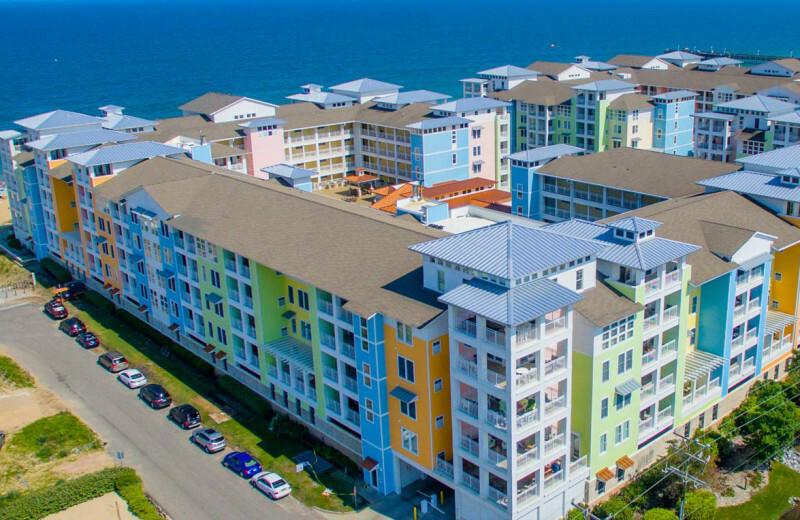 Beautiful oceanfront condos that can sleep up to twelve make for a unique holiday getaway. 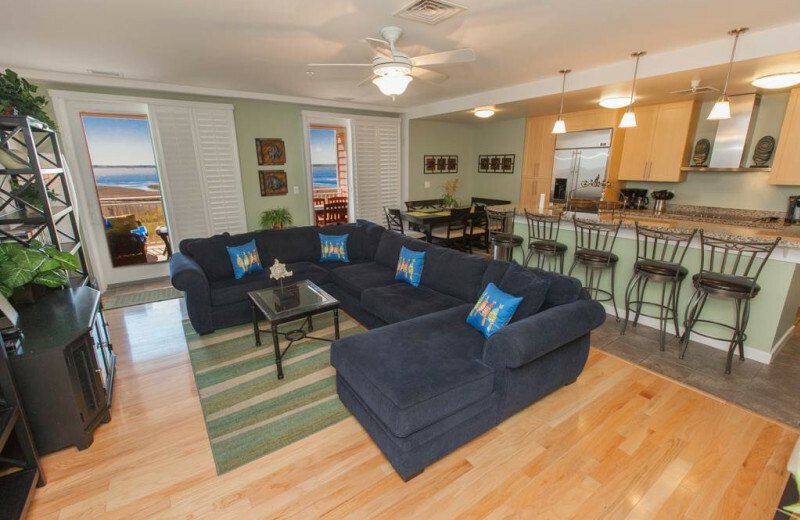 Spend quality time together on the white sandy shoreline, walk the private boardwalk, or just hang by the pool. There is something for everyone here! 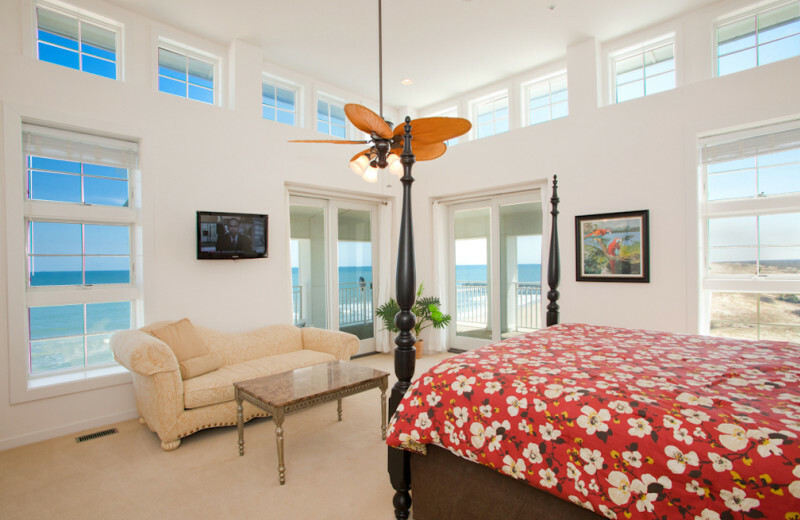 Sanctuary at Sandbridge offers a tremendous variety of luxury oceanfront vacation condos. 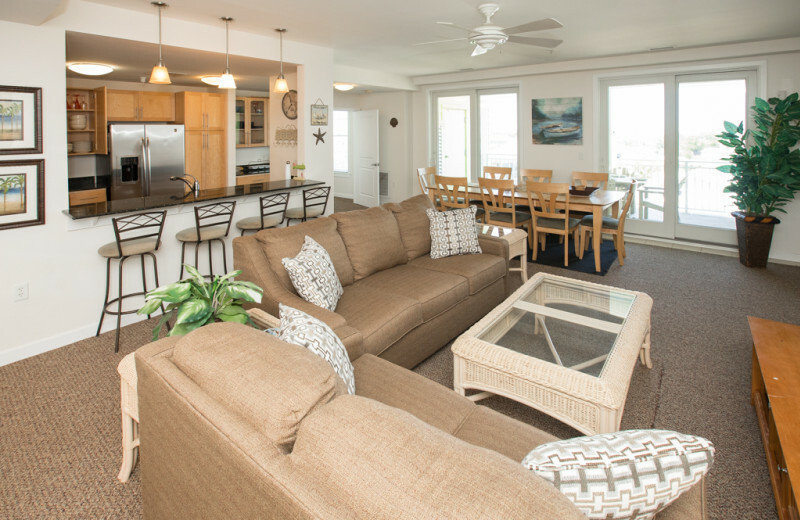 These properties feature designer decor and a selection of state-of-the-art amenities including fully equipped kitchens, private balconies overlooking picture perfect waters of the Atlantic Ocean, and spacious living areas for nearly every size of family . 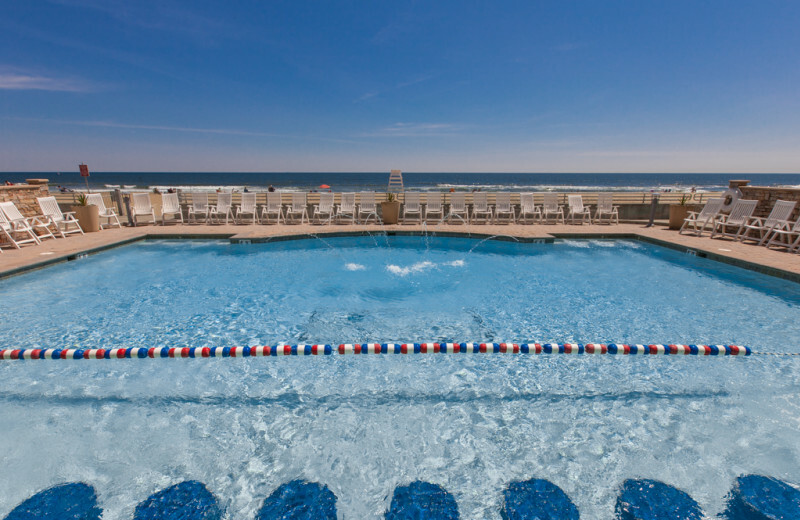 You'll also have access to three sparkling pools and a beautiful oceanfront boardwalk. 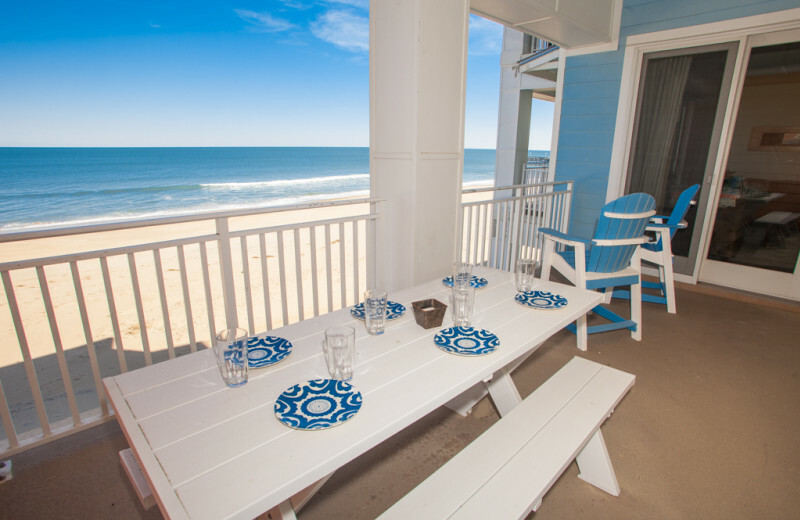 Don't wait any longer to start planning your next Virginia Beach vacation. 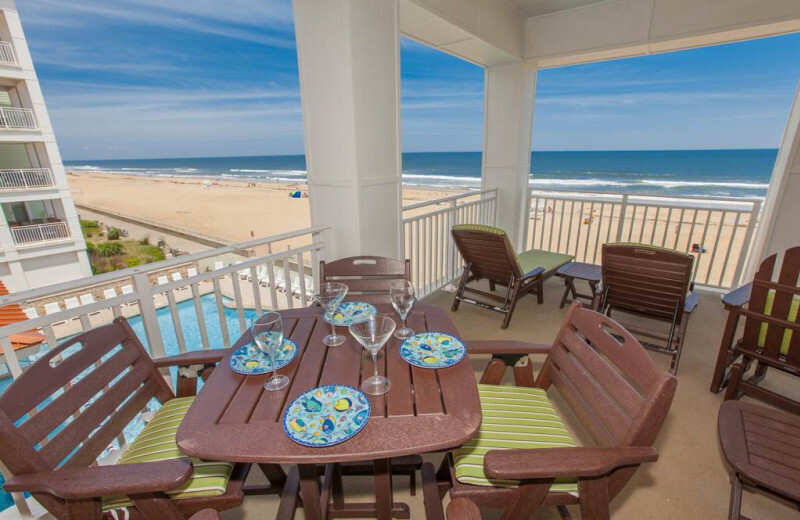 This property is ranked number 2 on Top 10 Virginia Beach Family Vacations. Read about it here.